The collaborative project between BAIT, the G.I. 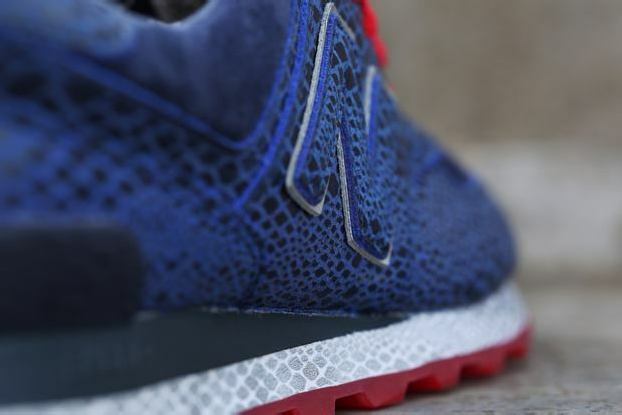 Joe franchise, and New Balance continues with the 574 “Cobra Commander”. The second shoe in the pack is fit for the supreme leader of the villainous Cobra organization, standing in opposition to Roadblock and the rest of the G.I. Joe team. The BAIT x G.I. 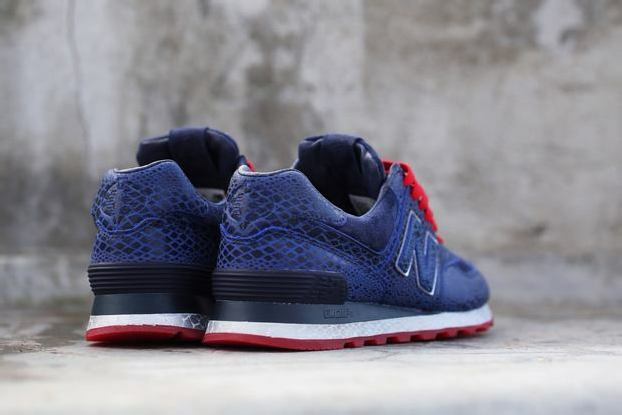 Joe x New Balance 574 “Cobra Commander” is a BAIT global exclusive and will launch on Saturday, June 20, 2015 for $140 USD. The shoes will be available at all five BAIT chapter stores. 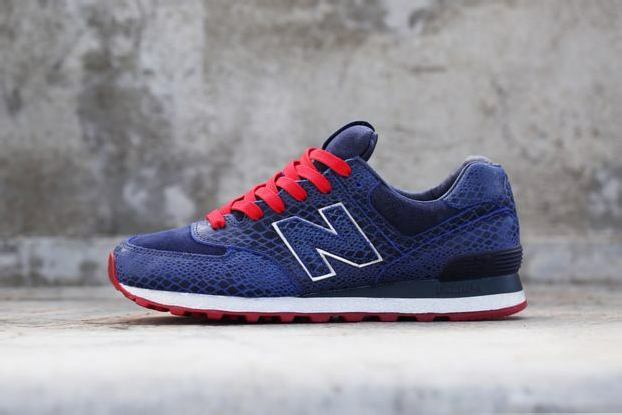 Elements of Cobra Commander take over New Balance’s classic 574 runner, beginning with the navy, silver, and red colors of his outfit. 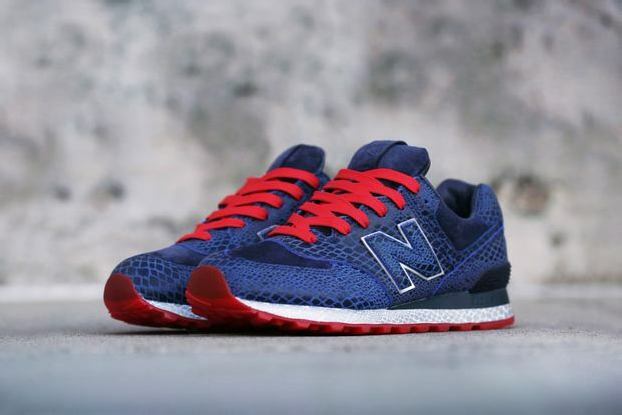 A bold snakeskin pattern is employed throughout the shoe – laser-etched onto the tonal navy leather upper and printed in metallic silver on the midsole. A deep translucent red outsole sits at the bottom. 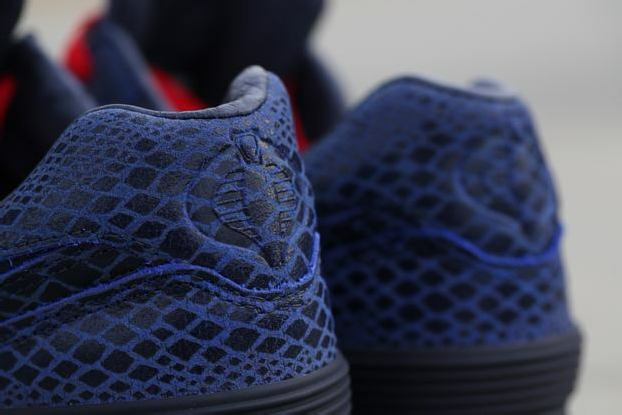 Meanwhile, the Cobra logo is debossed on the heel. Smooth premium pigskin suede is utilized on the toebox, collar, and tongue to contrast the laser-etched panels of the upper. 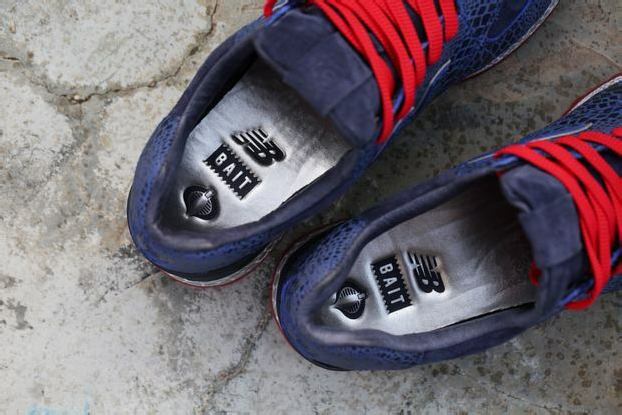 A metallic silver underlay highlights the N logo, matching the midsole design. 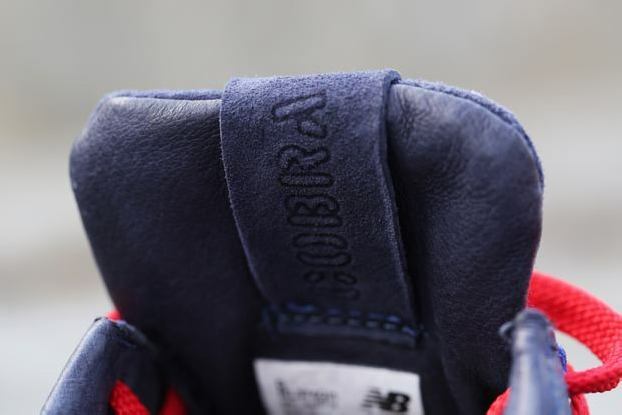 The interior is furnished with a luxurious leather lining while the tongue features a tonal suede label that reads “Cobra 574.” The shoe is also armed with metal lace locks, metallic silver BAIT x G.I. 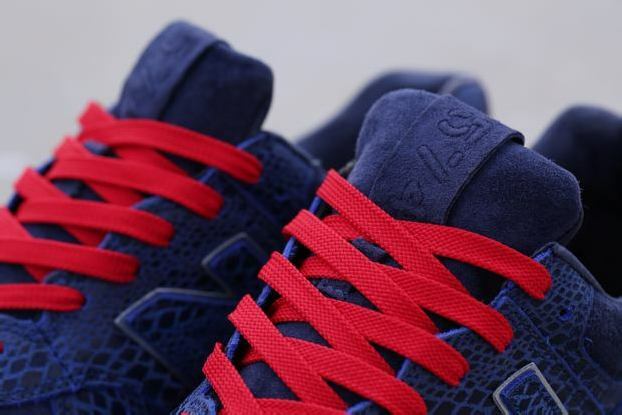 Joe x New Balance insoles, and three sets of laces (red, navy, and silver/grey).